The care and comfort of your loved ones is our top priority. Our caregivers provide long term and respite care, hospice services, dementia care, Alzheimer’s care, Parkinson’s care and more. We offer our residents a home-like atmosphere where community and comfort are just as important as the care we give. Our 12 acre Harford County facility offers comfort and style with a bright view. Relationships and entertainment are important qualities of our community. Social activities, a large community living area and barber and beauty salons offer our MD residents activities and independence. The tongue’s taste buds detect four tastes: sweet, salty, sour, and bitter. 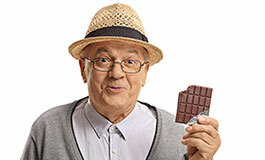 As we get older, the fewer taste buds we have and the less sensitive they become. 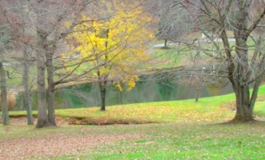 In our prime, we have between 10,000 and 15,000 . . .
Are you searching for Assisted Living in Bel Air, MD? The Hart Heritage Assisted Living facilities in Harford County, Maryland began 28 years ago, in the comfort of a family’s home in the town of Street, Maryland and has grown to be one of Harford County’s most sought-after and respected assisted living providers. The Skidmore family welcomed many elderly family members into their Harford County home. Beginning as a simple gesture of love and kindness and growing. More families in the Harford County and surrounding areas heard about the Skidmore family and the quality, special care they were providing. In 1990, the Hart Heritage Estates Assisted Living Facility was built and opened in the rural town of Street, Maryland with a capacity for 17 residents. The initial home where it all started was still taking care of 10 residents. Today, the Skidmores continue to be actively involved in the day-to-day operations of both facilities. Hart Heritage remains Harford County’s largest, family-owned provider of assisted living services. Both the Street, MD and Forest Hill, MD communities of Hart Heritage Estates Assisted Living are licensed assisted living providers. We are recognized by the State of Maryland Department of Health and Mental Hygiene, Office of Health Care Quality. Our family and staff at Hart Heritage Estates are committed to treating each assisted living resident with dignity and respect. We provide the personal care and attention our residents deserve in a safe and loving environment. We also provide specialized memory care services for our residents and community members who are caring for a loved one at home. These services are available at both the Street MD and the Forest Hill MD locations. Hart Heritage Assisted Living provides specialized dementia care and Alzheimer’s care for our residents with all forms of dementia. These include Parkinson’s dementia, Lewy Body dementia, vascular dementia and all other types of dementia. 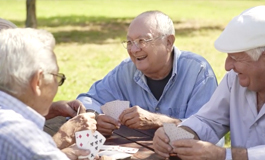 Residents receive individualized care, as well as the opportunity to participate in structured group activities. We provide 24/7 monitoring at our senior living facilities in the Bel Air area in Harford County. We have state of the art security systems in place to ensure our residents’ safety. Short-term respite care can be a godsend for stressed-out caregivers. You can rest assured we will take excellent care of your loved one while you take time to take care of yourself. We provide respite care in both our Bel Air area locations in Forest Hill and Street. Contact Us Now or call to schedule a tour of our Forest Hill location at 410-638-6047 and Street Community location at 410-836-1295. 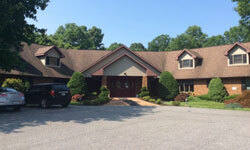 Both facilities are located just minutes from Downtown Bel Air, Fallston, Abingdon, Jarrettsville and surrounding areas. The Hart Heritage Way . . .
At Hart Heritage Assisted Living, we do our utmost every day to provide quality care and enrichment activities for all of our assisted living and dementia care residents. We would like to thank the members of our community for sharing their experience with the Hart Heritage level of care. 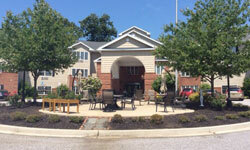 Providing assisted living for residents in and around Harford County, MD! We are close to Bel Air, Fallston, Edgewood, Abingdon, Jarrettsville, Havre de Grace with locations in Street and Forest Hill just a short drive away. Call us today at 410-638-6047 with questions, or contact our Marketing Director, Kim Cooke directly at 410-638-6087 to schedule your Free tour of our senior care assisted living facilities. It is possible to tour both locations in the same day. Let our residents tell you!